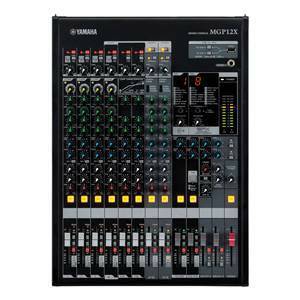 The Yamaha MGP12X is a 12-Channel Premium Mixing Console. 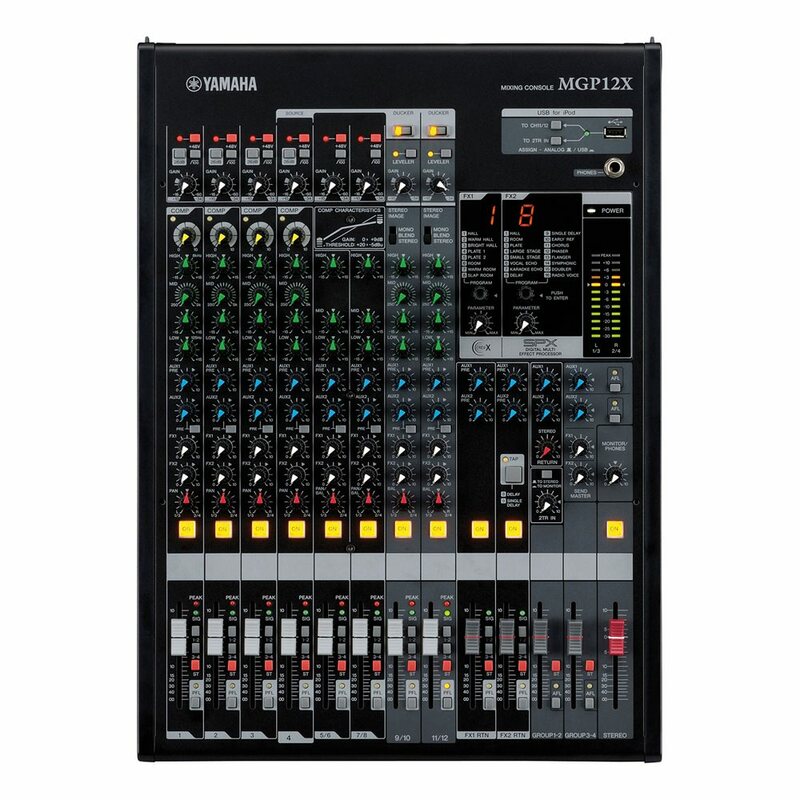 The Yamaha MGP12X 12-Channel Premium Mixing Console is the result of the call for a small format sound reinforcement console with a feature set that meets the demands of today's touring bands, performance groups, live venues, houses-of-worship, town halls and more. 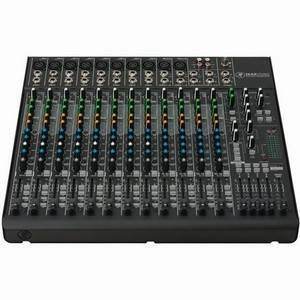 The console features a total of 12 input channels with 4 mono inputs, and 4 stereo inputs, dual effects processor, 1-knob compression, stereo hybrid channels and optional control / audio playback from Apple iPads and iPhones. 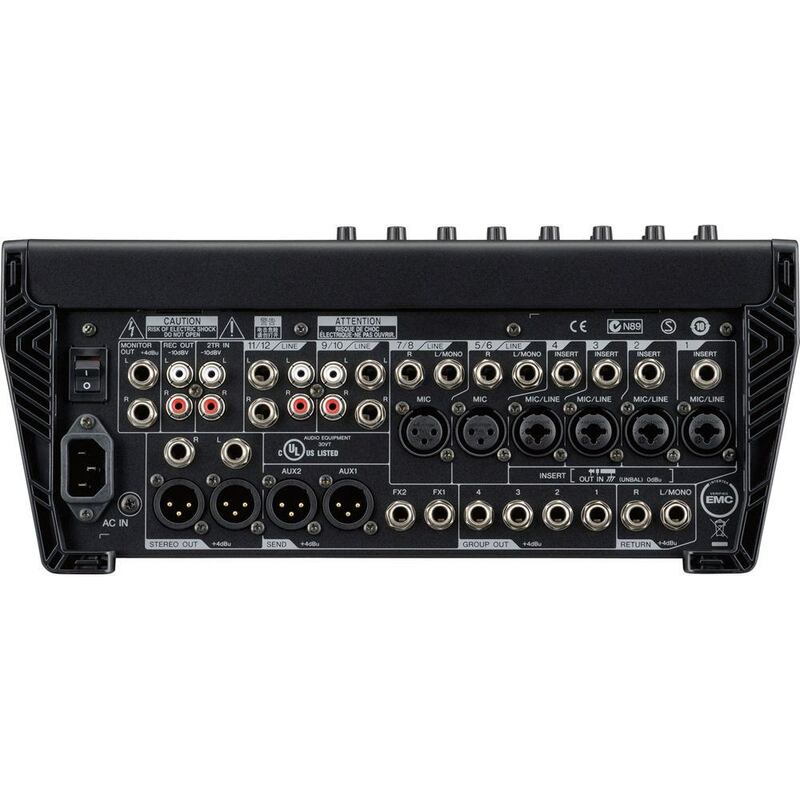 The front-end features 6 of Yamaha's breakthrough D-Pre microphone preamps, featuring an inverted Darlington circuit design. 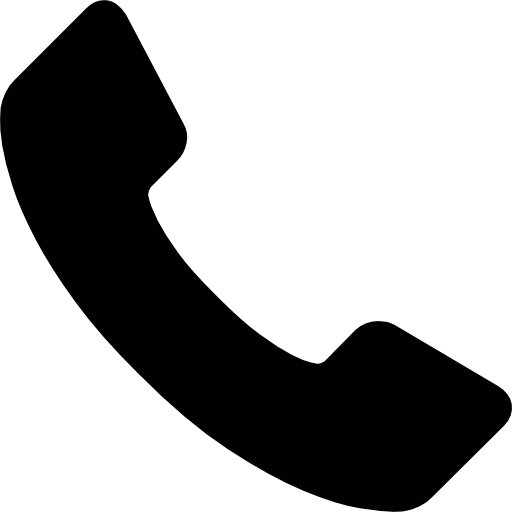 The result is a transparent, warm and musical audio character unique to the MGP12X. 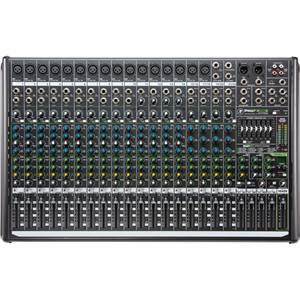 The mixer's X-pressive EQ section delivers precise settings, steep shelving and musical frequency contouring. 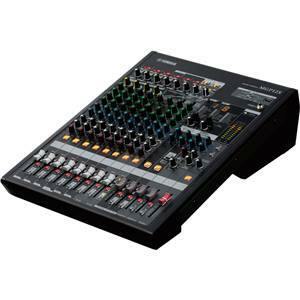 A powerful Dual Digital Effects processor employs Yamaha REV-X reverbs and SPX series digital multi-effects. 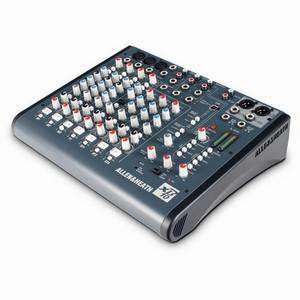 An additional feature unique to the MGP12X is its dedicated stereo Digital Hybrid channels. Two stereo channels feature extensive DSP underneath the familiar analog controls. The Digital Hybrid channels feature Priority Ducker for prioritizing announcements and other signals, a Leveler for global level control and a Stereo Image feature that adjusts the width of stereo tracks, and allows for a much more comfortable listening experience (ideal for backing tracks and intermission music breaks). 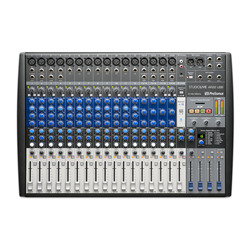 The Yamaha MGP12X features a USB iPod and iPad connection. Not only can the console playback audio from these devices, Yamaha's free MGP editor app allows for extensive control and editing of many of the console's features and parameters, directly from your Apple iPhone or iPad. 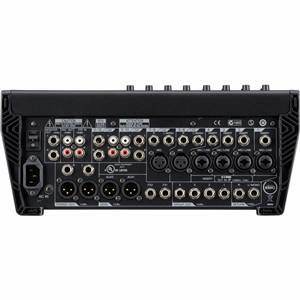 Thanks to its integrated rack ears, the MGP12X can be rack mounted.